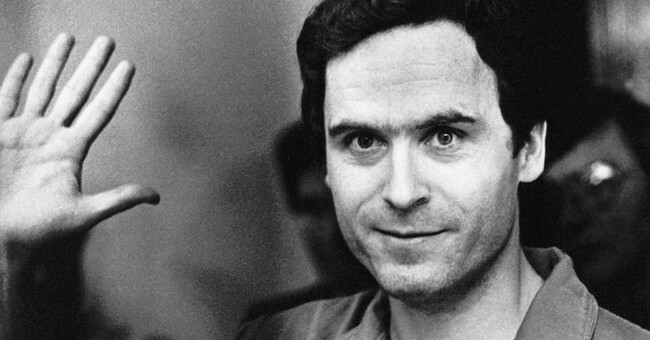 It’s hard to imagine a time when the phenomenon of “serial killers” was relatively new. That wasn’t so long ago, according to the new Netflix documentary series Conversations with a Killer: The Ted Bundy Tapes. Over the course of its four episodes, the program focuses on the crimes and convictions of Ted Bundy, one of the most infamous serial killers of all time. The show — which premiered on Netflix thirty years after Bundy was executed for his crimes — offers a fresh look at the man. Since its premiere, some viewers have reacted positively towards the serial killer with Netflix even speaking out against the idea that he was hot. The show doesn’t focus on his looks, of course, but it shows him as being more than just a caricature to be studied in history books. In fact, the show frames its narrative around interviews conducted with Bundy while he was imprisoned. Reporter Stephen Michaud sat down with Bundy in the 1980s to learn more about the well-known killer. At first, Bundy didn’t open up about his past misdeeds but later on, the serial killer talked — in the third person — about his horrific crimes. The first episode focuses on Bundy’s youth (he notes that he was a champion frog catcher in the 1st grade) and then focuses on his earliest victims in the Seattle area. Since there were so many victims, the show briefly mentions many of them before quickly moving on to the next crime scene. The second episode focuses on Bundy’s move to Utah and his continued criminal behavior. In the 3rd and forth episodes, the show focuses on Bundy’s convictions, his escapes, the crimes he committed in Florida (while on the loose) and his eventual execution. In a strange way, the show puts Bundy where he wanted to be: at center-stage. Although many of his victims are mentioned, the program focuses its attention on Bundy and his personality. He was once a campaign worker. He was a member of a Seattle Crime Commission. He became a member of the Mormon Church. Superficially, he seemed like a normal person to many of the people he came across. Underneath that was a sociopath and the show presents both sides of him, painfully revealing the truths he kept hidden. This wasn’t a secluded man who hid in a bunker. Bundy was attracted to attention. In many ways, the producers of the show treat him as a star. The interview subjects — which include reporters, a surviving victim and others who knew him — are often interviewed with lights on them but with darkness surrounding them. In these interviews, these subjects are oftentimes presented off-center in wide shots. The darkness that surrounds them might be a reference to the darkness inherent in Bundy himself. Bundy was truly a monster but he was a showman too, hoping to charm potential victims alongside the judges and reporters who watched him firsthand. He was oblivious to how he was perceived though and seemingly always assumed that he would get away with all of his misdeeds. Responsible for over 30 murders (and likely more), Bundy was a serial killer who defined stereotype and that’s likely what makes this show so watchable. He actually studied to become a lawyer and convinced many people that he was innocent. Conversations with a Killer works best as a painful reminder of how this serial killer eluded authorities for so long and how duplicitous he truly was. Some viewers might be turned off though because the show seemingly gives Bundy the spotlight he so often craved.